Birthday emails are one of the most effective emails you can send. So if you haven’t started already, here are a few reasons why you should be sending automated birthday emails to your subscribers. 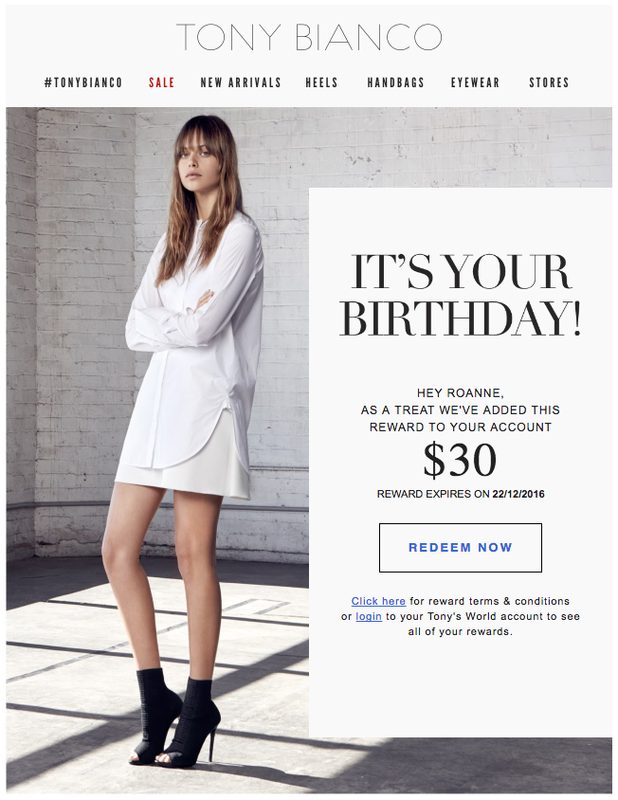 Because birthday emails are inherently sentimental and delightful to customers, they are a quick and easy win for any brand looking to enhance customer relationships. There are a few key things that separate a great birthday email from the rest. Delight your audience with a gift that they just can’t say no to. 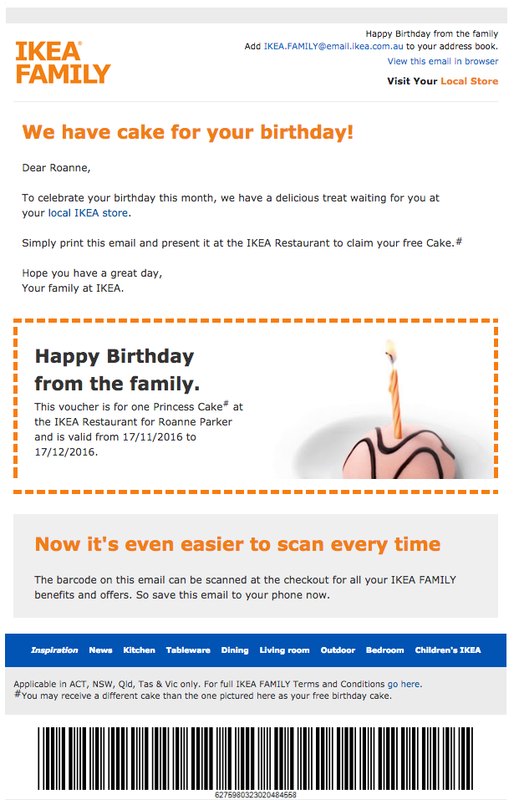 This doesn’t necessarily mean a high value offer but rather a gift that will delight them, like Ikea’s Princess Cake in this email. How often do you get a treat this special from one of your favourite brands? 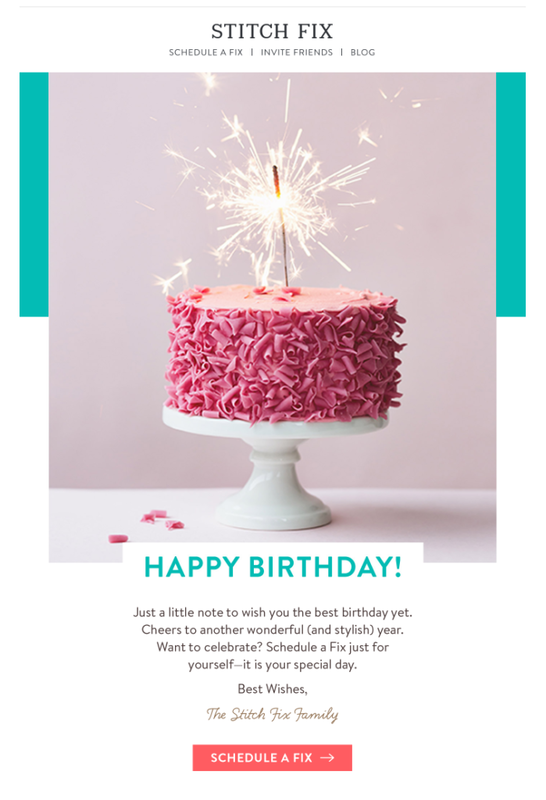 Don’t wait until your subscriber’s actual birthday to send them an email. 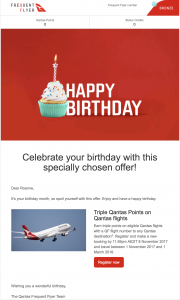 Many brands are starting to send their birthday offers at the start of the subscriber’s birthday month like this Qantas in this email to their frequent flyer customers. This will give you plenty of time to send a few reminders before the actual birthday. You “must” use your subscriber’s first name in the subject line, in the greeting, in the offer… pretty much every where you can fit it. 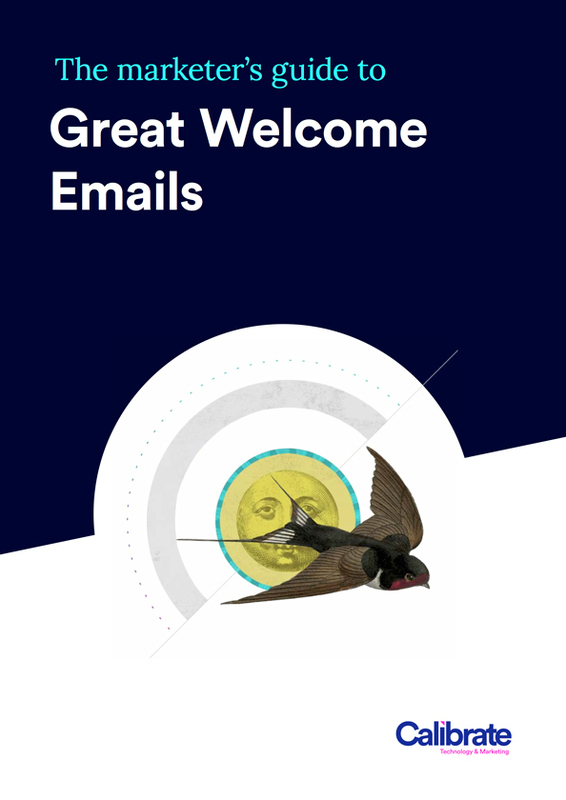 Remember this email is all about them – so make them feel special! 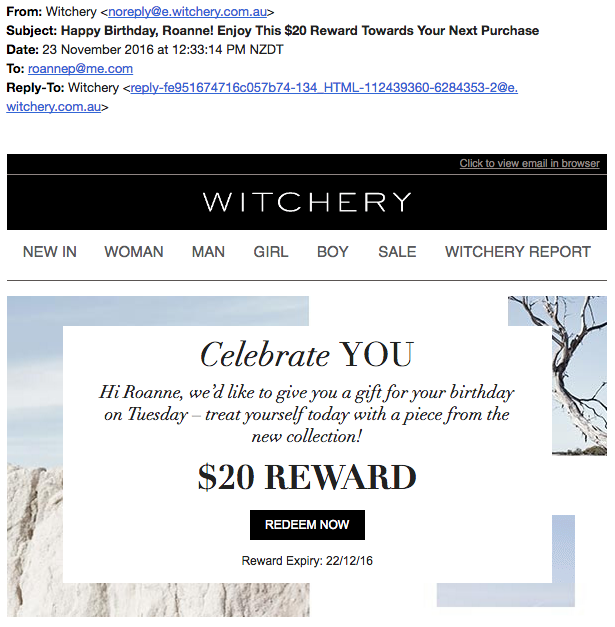 While it’s great to suggest some ways in which your subscriber should spend their birthday gift, unless you have a pretty good idea of what they like, don’t clutter your email with too many messages. Save this type of content for your regular promotional emails. In this example Tony Bianco spells out all the specifics in the actual offer instead of hiding them in the fine print. Make it as easy as possible for your subscribers to use their birthday gift straight away. Don’t overcomplicate your offer with a call to action that requires an explanation of how to redeem the offer. As in every other email you send, your call to action should be bold enough to drive instant action. Think beyond “redeem your offer now” or “claim your gift” and surprise your subscriber with a cheeky “take a peek at what we got you”. Images are one of the main reasons you are sending an HTML instead of a plain text email, so make the most of them. Use a bright, colourful, happy image that helps your subscriber get into a birthday mood. Or even design a pretty animation like this one sent by Air New Zealand to their elite’s audience on their birthday. Even the most organised businesses couldn’t possibly keep track of every subscriber’s birthday and send an email offer on that day. Fortunately, you don’t have to. Use an automated birthday series that includes at least one reminder to redeem the offer. Even if you don’t have the birthday dates of your database the same techniques can be used to automate email greetings to recognise key dates such as One Year as a client, or a year since a purchase and so on. You can make your own happy birthday email examples with our help. To get the most from your marketing automation talk to us about fast tracking a set of lifecycle communications. The best value marketing is automated and always relevant to your audience, working for you to build engagement and purchase 24/7. We are ready to help now, call Calibrate on +64 9 600 1748 or email us on team@calibrate.co.nz.